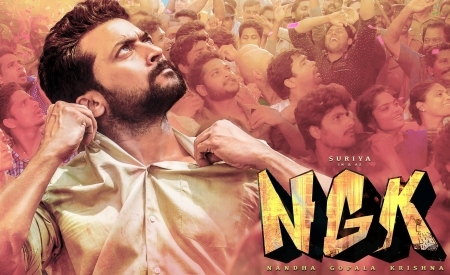 The much-awaited teaser of Suriya starrer NGK, directed by Selvaraghavan, will be out 14 February (Valentine’s Day). Produced by SR Prabhu’s Dream Warrior Pictures, the movie has music by Yuvan Shankar Raja. A political drama, the movie features Suriya as a rebel politician named Nanda Gopalan Kumaran. Sai Pallavi, Rakul Preet Singh and Jagapathi Babu are also in the cast. Sivakumar Vijayan of Irudhi Suttru fame cranks the camera. Suriya is currently busy with K V Anand’s Kaappaan. He will begin shoot for Sudha Kongara film. The big news is that close on heels of that Suriya will join hands with director Hari again soon.